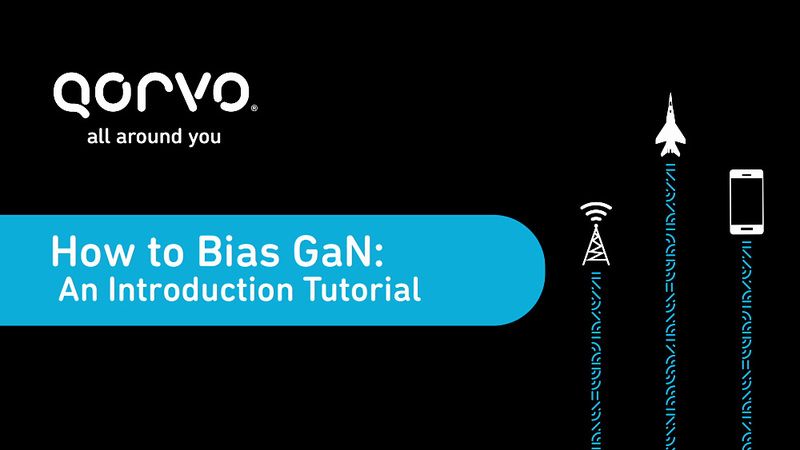 This video demonstrates how to properly bias a GaN transistor. You can also refer to the Qorvo GaN transistor model library which contains a powerful collection of high-accuracy nonlinear simulation models for die-and package-format GaN transistors from Qorvo. The Modelithics Qorvo GaN library also contains example projects that demonstrate the model features and facilitate the process of test bench setup for common linear and nonlinear design simulations. With an array of tools like this video in our Design Hub, we’ll help you be faster and smarter. We love partnering on the toughest RF problems. Think of us as your Smartner™ — your smart RF partner. If you need further support, please contact tool-feedback@qorvo.com.